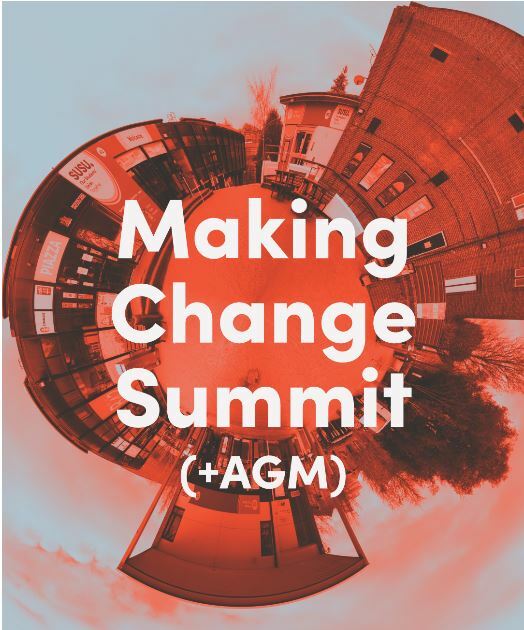 On Thursday 29 November 2018 we held our first Making Change Summit of the academic year, and our Annual General Meeting (AGM). 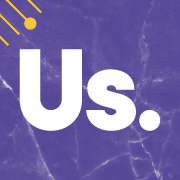 Our AGM is a legally required meeting to approve the accounts for the Students’ Union, appoint the auditors and consider other governance matters. It requires 250 students to have registered a proxy vote online or be present in-person in order to be a valid meeting. This year we had 270 voters, although not all of these voted for every point on the agenda. Our Annual General Meeting (AGM) is fast approaching on Wednesday 17 May and we are looking for your ideas to discuss on the day. It can be about absolutely anything you would like to change about our Union – from practical to plain wacky, we’ve heard it all and we’ve made a number of changes as a result. For example, we made Susu the cat Honorary President as a result of a suggestion from a student at AGM and we’ve included more vegan options in our Union outlets too. 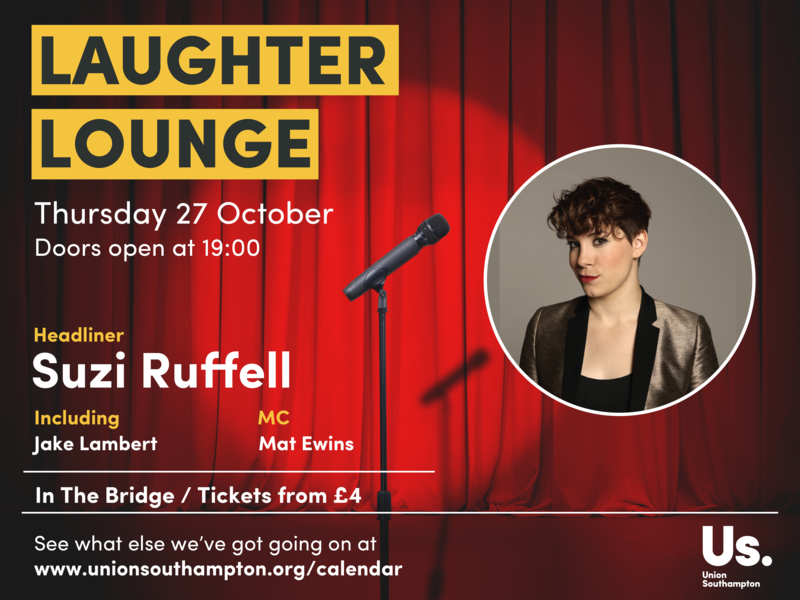 For just £4, you can watch top professional comedy from Suzi Ruffell, Jake Lambert and Mat Ewins tomorrow (Thursday 27 October) from 19:00 (Doors) at The Bridge. 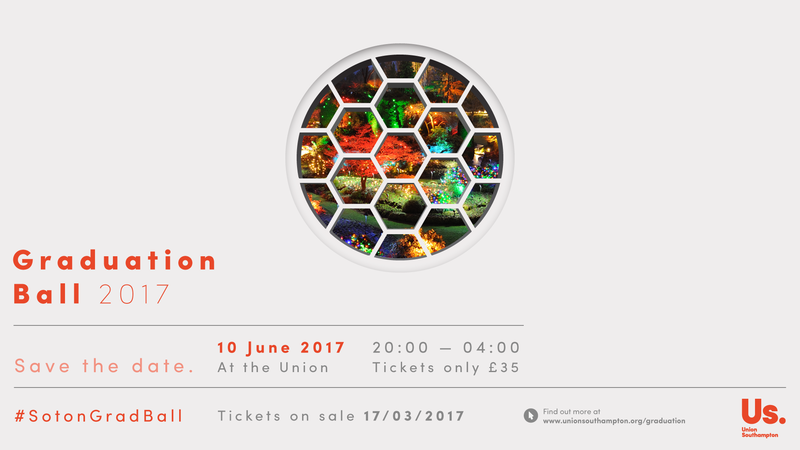 Having previously supported Alan Carr, Josh Widdicombe and Kevin Bridges on tour, Suzi has been dubbed a ‘real stand up gem’ by The Guardian. BBC New Comedy Award Semi-Finalist and Finalist of the English Comedian of the Year 2015, Jake Lambert will be opening for Suzi at this Thursday’s show. We understand that there is a lot to take in during the lead up to Freshers’. From events to accommodation, your head is likely to be filled with questions and anticipation about how it will all pan out. 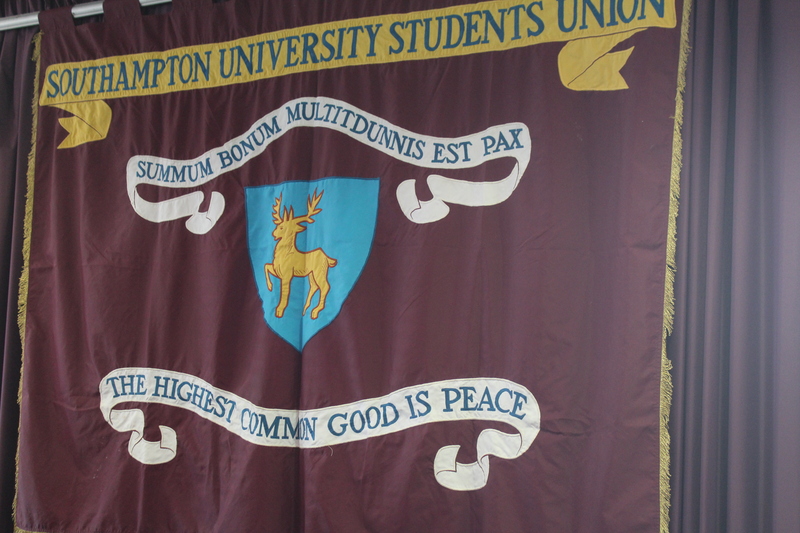 As a University of Southampton student, you are automatically a member of Union Southampton. That means we are here to support you from the moment you enrol here. That’s why we are offering you the opportunity to ask us anything you would like to know at our live tweet Q and A sessions. We held our Annual General Meeting (AGM) at The Bridge yesterday (11 May), where you got to openly discuss and vote on the ideas you submitted as part of ‘Change One Thing’. The AGM was our most successful yet, with a record breaking number of ideas submitted by students (161) and the highest number of student submitted policies (19) than ever before! 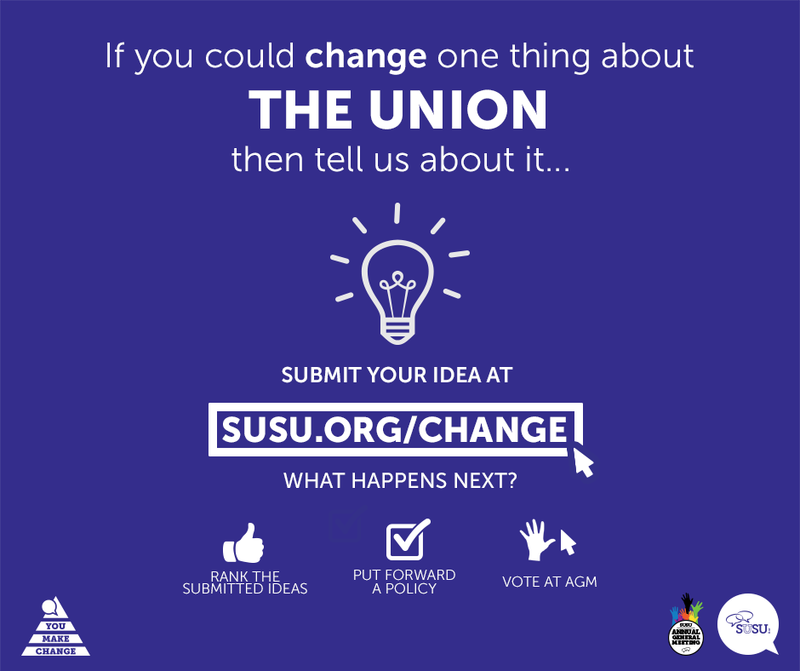 If you could Change One Thing – about the Students’ Union, University, or even the world – what would it be? 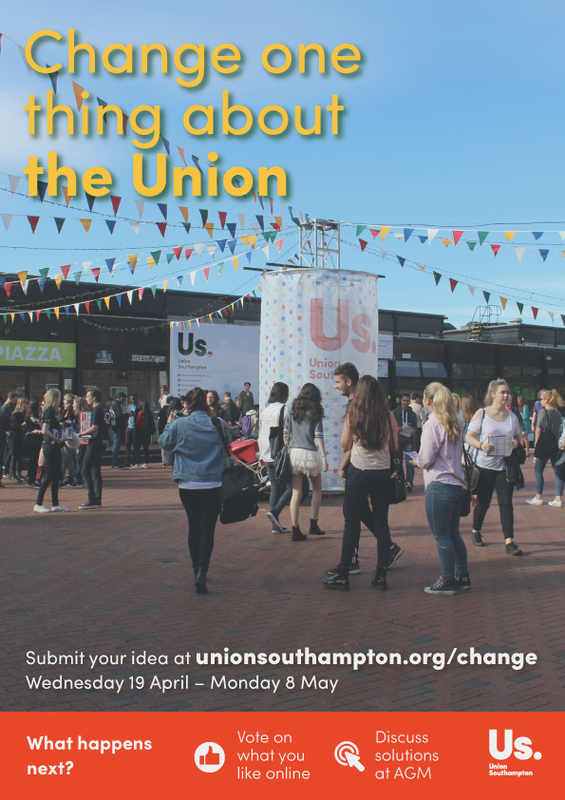 You will be able to vote for the candidates that you want to lead the Students’ Union from Monday (29th February) at midday – Friday 4th March at 4pm.